As summer draws to a close and we head into September, a lot my clients are thinking end of the year. That means end of the year appeals. And I spend a lot of time trying to convince them not to wait time and money on putting together a brochure but, rather, focus on creating a multiplatform end of the year appeal. Sending out a direct mail letter to your list will probably get you somewhere between 4-10% response rate, depending on how well (if at all) you’ve taken care of your annual donors over the past year. If you are a school or religious center like a church or a temple, your rates will be much higher among your current students/congregants, but it won’t with a letter alone reach the results you need. If you use a brochure instead of a letter, your participation rates will go down, not up. 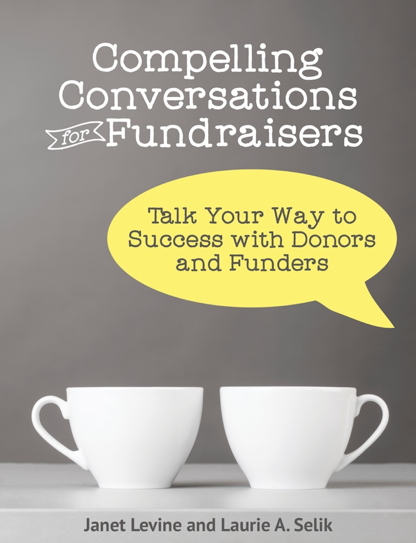 The reason for that is that in fundraising, the closer you get to your donors, the more likely they are to say yes (and the higher the gift they will give). A brochure is pretty far from personal. A brochure and a letter may make you feel that you are doing more, but your expense is so much higher that your net is probably lower than the letter alone. Letter alone. Ummm….that is what too many organizations rely on. Consider instead a nine-week campaign, using many different ways to ask people to become an annual donor..
Start with that letter. Keep it short and to the point. This is an appeal; so make sure you have a clear call to action. This is not the place to be subtle. If possible, have a specific ask amount. Make it a bit higher than you actually think you can get. Put a copy of the letter on your website. Refer to it on your social media pages. Send eblasts to those whose email addresses you have. Follow up with phone calls. Texts to those for whom you have cell phone numbers. Send a few colorful postcards, pushing them to your website’s donate page. Make sure that all your collateral looks similar. This is a campaign and branding matters. Now ask your volunteers who are also on social media to push the word about your annual appeal to their friends and followers. Depending on your group, you could segment by cohort (Current families, alumni families); by geography; by capacity. Just consider that one message probably does not fit all. And then, work that plan. This entry was posted in fundraising and tagged annual giving, campaign, end of the year appeal. Bookmark the permalink.